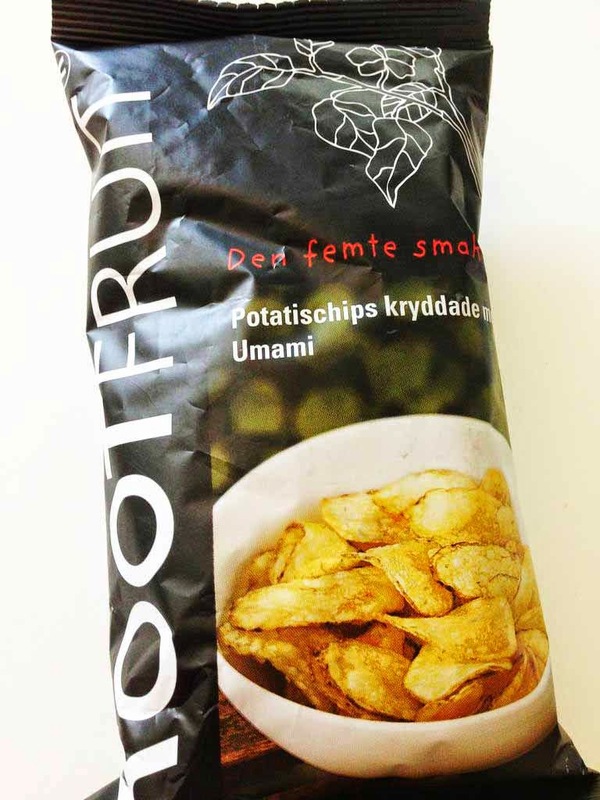 Potatischips kryddade med umami is potato crisps flavoured with umami from Swedish, artisan crisp manufacturer Rootfruit. Umami, being the fifth taste, is best described as a savoury taste. Umami is usually found in soy sauce, mushrooms, broth etc. But it's a flavour hard to pin down. Looking at the table of content tomato, onions, soy sauce, fish powder etc is listed and some of those are umamirich foods but I don't find any resemblance to that special umami taste (like in soy sauce and broth). 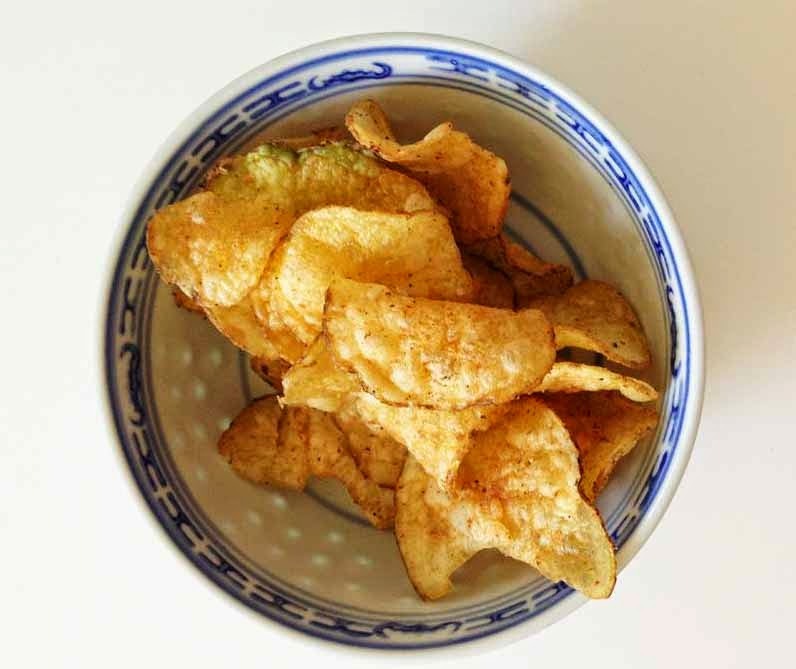 There is nothing wrong with the crisps they taste mainly onions and salt, but nothing of umami. But I like how crispy they are and in good bite sizes, not too big.